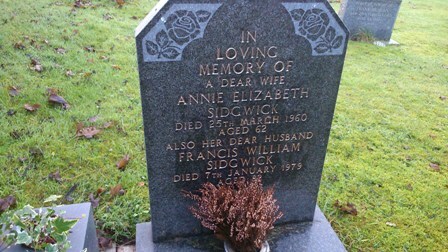 In Loving Memory of a dear Wife Annie Elizabeth Sidgwick. Died 25th March 1960. Aged 62 years. Also her dear Husband Francis William Sidgwick. Died 7th January 1979. Aged 82 years.